Miguel Angel Blanco Municipal Leisure Centre. Ermua. Compacmel material application. 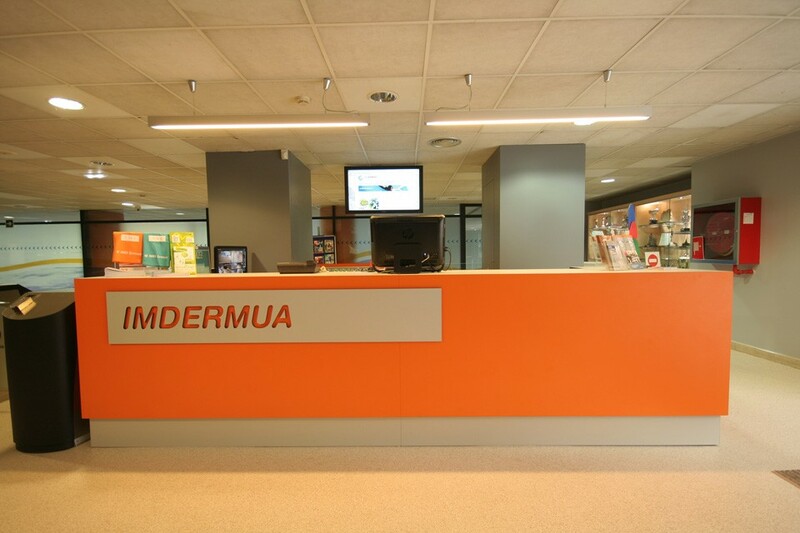 The Miguel Ángel Blanco Leisure Centre in Ermua was built using a new material called compacmel, in two shades: orange and grey, using entirely angle joints to avoid the black colour of the edge of this material. This is a very hard product designed to replace the high-density laminate used in gym showers where it withstands humidity, and especially on façades. Compacmel is not as resistant to humidity and water, but is very hard and, therefore, meets all necessary requirements regarding resistance to use in indoor areas. Leisure centres like this one withstand the constant traffic of people. The interior (cannot be seen in the photo) included drawer units and everything required for use, including a control panel for the lighting and to operate the different leisure centre appliances. At the front is a false grey piece combined with the orange background. 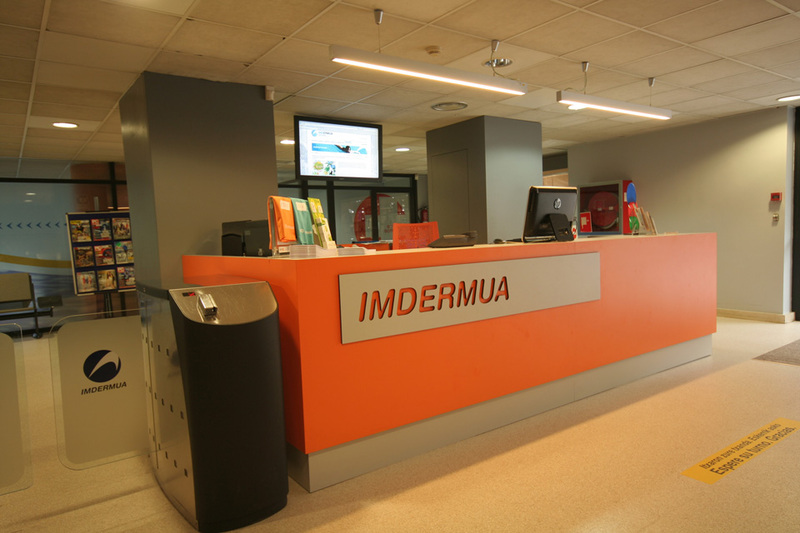 IMD Ermua can be seen with the leisure centre’s logo. We used a numeric control machine for this point with the letters pressed through to make the orange background visible. Behind the desk are two columns. The left-hand column is a real column and the right-hand column is an imitation with a side door leading to a small storage room to serve the desk. The aim was to seek visual symmetry from the front.